I echo the sentiment urging people to get out on Oct. 25 and exercise their democratic right as voters. It is a trite cliché, but nonetheless true. A strong voice is needed in Haldimand now, more than ever. Yet it’s easy to understand how people have lost their faith in government, especially when someone like Julian Fantino gets nominated as a candidate for the federal Conservatives. After years of lawlessness and two-tiered justice in Caledonia under his watch, countless letters and phone calls pleading with upper levels of government to do something to protect local residents, and Conservatives themselves saying that the province needed to uphold the law, it’s bloody disgraceful. Prime Minister Stephen Harper, local MP Diane Finley and the entire federal Conservative Party should be ashamed. There’s simply no way around it. Also alarming were the comments made by the majority of ward three candidates at last week’s debate at the Lions Hall. The belief that road blockades have nothing to do with the OPP and that council can’t do anything to curtail them in the future and that a few vigilantes can be dealt with when the time comes is pure hogwash. Have we all been living under a rock? 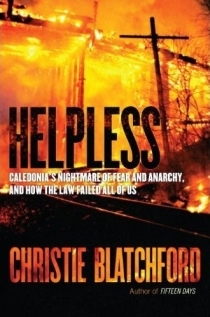 What’s even more astounding is that a few people in the audience, one individual in particular – you know who you are – had the audacity or liquid courage to blaspheme Christie Blatchford’s new book entitled Helpless: Caledonia’s nightmare of fear and anarchy and how the law failed all of us. For some local newspapers that might come as a surprise, but for us here at The Regional News, it doesn’t qualify as a breaking story. Even though some have accused us of being anti-native, we’ve been trumpeting that belief since day one. It shouldn’t take a nationally acclaimed award-winning author to bring credence to such reality, just a reporter with half a brain and b it of objectivity. I continuously referred to what Blatchford calls “encouraging” as borderline entrapment that was a disservice to the native population as well. 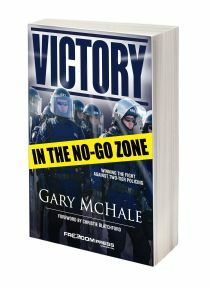 What Blatchford brings to the surface in her book – to my enlightenment after being immersed in the issues for almost five years – are the many stories of residents, apart from Dave Brown and Dana Chatwell, that went untold for the most part. We always knew that many residents were fighting countless battles behind the scenes. 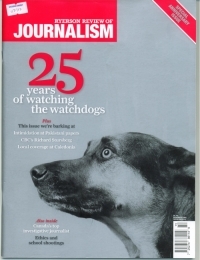 I recall trying to get many people to speak at the height of turmoil, however several of the stories that Blatchford documents are the experiences of people who were too afraid for their own safety at the time and therefore didn’t want to talk to reporters on the record. (Perhaps that’s why some papers chose to document the stories on the great and wonderful Michael Laughing instead. We stuck with things we heard off the record, a finger on the pulse). 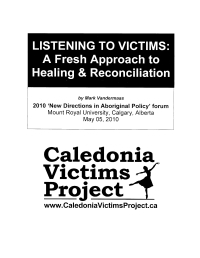 Many people living through tumultuous circumstances were people living in our great country called Canada, however many politicians, including those at the local level, refused to acknowledge their strife, often passing it off as overblown and as something that needed to be left simmering to cool. The end result was that many of the issues were brought to a boil. People lost their homes, their money, their families, their pets, their gardens, their sanity. One of the most emotionally impactful tales is the one of the Rauschers who now reside in Burlington after selling their Caledonia home at virtually half its market value. What they lost, money aside, is emotion-stirring to say the least. I would argue the same in the present tense. This isn’t a column justifying people’s decision to stay home and not vote. this isn’t a column urging people to vote for Gary McHale or, God forbid, vote Liberal. After the municipal election, many people will turn their focus to remembrance and our War veterans and the freedom they enjoy as Canadian citizens. 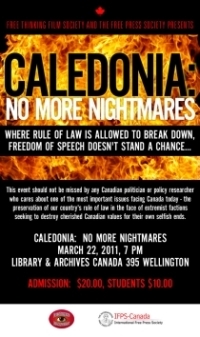 While many of us now bask in the relative calm that is Caledonia these days, perhaps it is of less importance to remember, than it is to never forget. Shameful it is that some people and most politicians act as if nothing ever happened at all and still react as powerless as they’ve always portrayed. NOTE: The Regional News does not publish an on-line edition to which we can link.